Support the Great Work of Rotary and Make a Lasting Difference! We all know the tremendous power of Rotary to unite people around the world and change lives forever. There's perhaps no better demonstration of this "Service Above Self" than the generous financial and volunteer support you, our Minneapolis City of Lakes Rotary members, make every year to our Foundation. Wonder where your dollars will be going this year? Whether it's bringing desperately needed water filters to Haiti or delivering books to children learning to read, the funding you contribute is a vital investment. Take a look below at just some of our worthy causes! Help us continue this good work through your support. Every gift matters! Thank you! Fifty-six students receive a weekend's worth of food every Friday afternoon for a full school year plus our volunteers stuff students' backpacks on Fridays. Food is purchased to create a "can structure" at Mall of America, helping build community awareness of local hunger; all of the food is then donated to Second Harvest. We purchase approximately 400 affordable books that are given away to families of K-8 graders at Jefferson School, a K-9 school with more than 650 students, 78%+ are free and reduced-lunch eligible, 15%+ are homeless/highly mobile. We provide 750 hats, mittens and gloves for children in need throughout eight social service organizations who distribute them into the community. Inmates of the Hennepin County Corrections System are provided with dictionaries in order to improve literacy, prepare for the high school equivalency exam and keep as an educational resource. 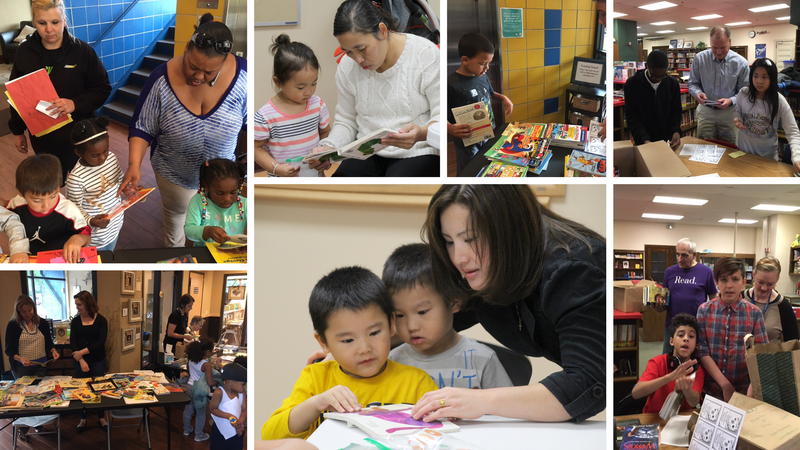 Our funds are used to purchase approximately 1,000 diverse books for Reading Partners to give to its tutoring students to take home, building their personal library and continuing the learning. COLRC's relationship with Community Emergency Services (CES) food shelf operation, a nonprofit crisis relief program, goes back almost a decade and is helping serve approximately 180 clients. Every Fall, MCOL rakes 10 to 15 yards for seniors, shut-ins and disabled people in South Minneapolis. Funds are also used to purchase compostable bags for the project. Our funds will purchase ingredients or commercially prepared food to serve to 60 to 100 Minneapolis Ronald McDonald House families. Way to Grow's Great by Eight Early Learning program serves kids 0-5 through home visits by family educators who teach parents how to develop vocabulary, conversation, sound awareness and alphabet knowledge. Our funds are used for projects that come to our attention over the course of the year. Ronald McDonald Houses provides a comfortable and caring home-away-from-home that supports keeping families together and reduces stress during a child's serious illness. Our funds are used to purchase holiday gifts. Our funds provide support for ShelterBox's most pressing needs, helping to address that fact that around 85 million people around the world have been made homeless by natural disaster and conflict. Our goal is the completion of water systems, helping children avoid seriously illnesses or death due to contaminated water. Our project is expected to impact 15,000+ people who do not have ready access to clean water. Our funds will go to installing a water filtration system in the city of Luisiana, Guatemala, a stand-alone first community of 16 possible communities in the Wakami Project, coordinated by Guatemala East Rotary Club. We partner with EWB – a nonprofit humanitarian organization that supports community-driven development programs worldwide through partnerships that design and implement sustainable engineer projects while creating transformative experiences that enrich global perspectives and create responsible leaders. Our funds are used to support and pay the expenses of a Rotary Youth Exchange student. We purchase Strengthfinders books for individuals in poverty on the path to long-term and stable employment. We help purchase student bus passes for the summer and lunches for students of this hugely successful program that provides ambitious students an opportunity to check out various technical careers through active hands-on experience. We sponsor four students from Minneapolis metro area schools to attend Camp Enterprise, an entrepreneurial camp that is an opportunity for students to take leadership positions in various case studies and discover their potential. We sponsor two students from Minneapolis area schools to attend Camp RYLA which helps students open up their potential and dream bigger than they ever have in the past. MCOL Rotary supports the mission of the Debate League, empowering students through competitive academic debate to become engaged learners, critical thinkers and active citizens. We enlist our members to conduct outreach to students, teachers and parents; help judge debate rounds and prepare students for tournaments; provide public transit tokens to encourage more consistent attendance; and increase communication with parents to recognize student accomplishments. 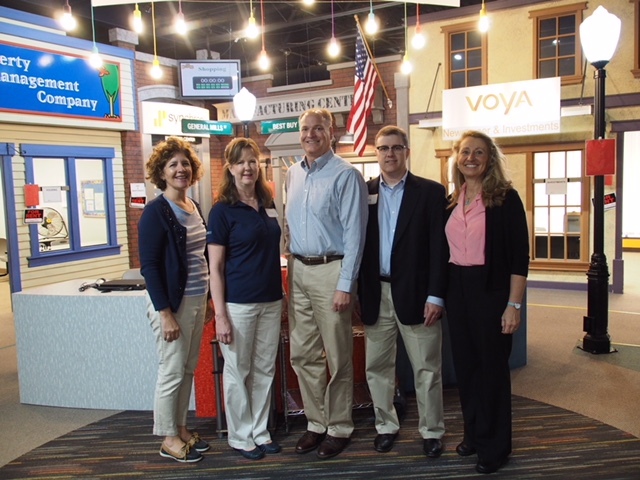 Our funding allows participation of 100 students in JA BizTown, a 10,000-square foot kid-sized city within Junior Achievement headquarters in Maplewood. Students learn what it takes to run a successful business, manage a checking account and work as a team.